I can’t help it. I’m still enveloped in the pleasure of swimming with green sea turtles in Hawaii for the past two weeks, and am not yet finished replaying the sensation over in my imagination. Those great bodies moving so gracefully through blue green water, coming up for a gulp of air and a look at the odd but apparently harmless creature swimming alongside–I will not soon forget the glint in the turtle’s calm, accepting eye. What does this have to do with Lincoln Park, you might ask. Well, I was reminded of a post on the subject of animal presence by the eloquent Trileigh Tucker, intimate friend of Lincoln Park and all of nature. Her post is this week’s contemplation of LP, because it’s an awesome post, and because we are heading into a period of intense animal presence in and around the park. How rare it is for us humans to be encountered in the wild by an animal who seems without fear of us, and even more powerfully, to whom we are of calm interest. To see ourselves in their eyes, to be recognized in some way as having a presence, perhaps even being of a kindred nature, perhaps, ultimately, with personhood — such an experience reminds us who we are….Some deep part of us yearns for this recognition. 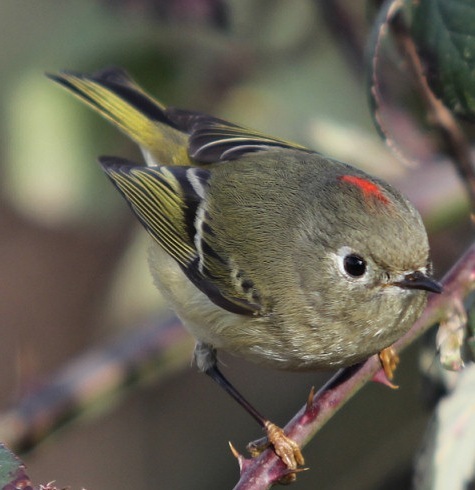 Personally, I wait each year for the ruby crowned kinglets–skittish little lovelies with beautiful songs. Yesterday I noted on WSB Facebook that a neighbor had seen a coyote on the perimeter of the park three days in a row, a seasonal presence to watch for. There are owls, bald eagles, wrens, tree creepers like nuthatches and browns, song sparrows and squirrels, of course. We can watch them, and there’s a sense that they might enjoy watching us. May you be in the presence of the animals that make their home in LP; coexisting with them is deeply, deeply soothing to the soul. Thanks Trileigh!